The Alberta Paramedic Association has been engaged in a collaborative review as part of our Professional Fatigue project, to assess the health and wellness effects of the 24 hour shift model currently being used in rural Alberta’s EMS delivery. During this assessment which included current legislation, frontline consultation and research/literature review. Over the next few weeks, our members will be able to follow this project as we lobby for change and release more information by checking back here in the news feed frequently. Here is an overview of some of the findings. Shifts exist in rural Alberta using 24 hour, 48 hour and 96 hour scheduling in different variations that do not involve scheduled breaks. There are -/+ 192 ambulances in Alberta using a variation of 24, 48 and 96 hour scheduling. The Traffic Safety Act regarding hours of service regulation explicitly excludes Paramedics operating an ambulance. Neither the Health Professions Act, Emergency Health Services Act, Commercial Vehicle Drivers legislation, nor the Occupational Health and Safety Act addresses limiting hours of work or ambulance operation. Frontline paramedics are currently reporting using sick time to “catch up” on sleep. Thanks for the kind remarks Rob, it means alot to all of us volunteers. Thanks for being a member and supporting the cause! I am so thankful we have a association like this. 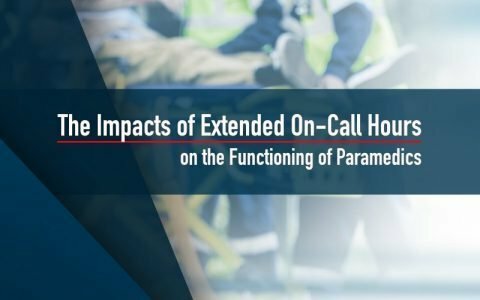 This has been an area of contention for years with the only first responders(Ambulance) that uses extended shift models. Keep going APA. I cannot speak for everybody but I think The whole EMS community is behind you and ready too rally if need be. Long past due-never to late too make positive changes.